Romaine lettuce is a popular salad green and is the most common lettuce variety used in many salad recipes. This green leafy vegetable is characterized by its crunchy texture and savory, neutral taste. Romaine lettuce, also known as cos, belongs to the same plant family as daisies and thistles. Ancient civilizations have long touted lettuce as an important food. The vegetable was once served on the tables of Persian kings, while ancient Greeks and Romans hailed lettuce as basic food and medicine. On the other hand, the Chinese consider lettuce as a sign of good luck. 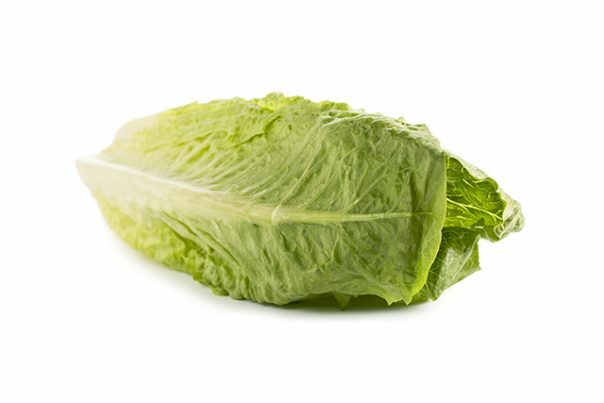 Explorer Christopher Columbus was the first person to introduce lettuce to North America. Romaine lettuce is packed with dietary fiber and is relatively low in calories. This makes the vegetable an ideal food fare for people trying to lose weight. In fact, a cup of shredded romaine lettuce has only 12 calories. Romaine lettuce is also high in water content that promotes satiety. Aside from this, romaine lettuce has a low glycemic index, which is particularly beneficial to those who watch their sugar intake. The high fiber content in romaine lettuce is also known to promote the body’s overall digestive profile and lower the odds of developing diabetes. Besides this, romaine lettuce is touted for its beneficial effects on the cardiovascular system. The vegetable is notably rich in beta-carotene, healthy fats, and vitamins C and K. One single serving of romaine lettuce provides as much as 40 percent of the daily recommended intake of vitamin C.
Vitamin C works with beta-carotene to inhibit cholesterol oxidation and plaque accumulation in the blood vessels. This reduces the risk of developing cardiovascular diseases. On the other hand, eating a 100-gram serving of romaine lettuce may provide up to 100 micrograms of vitamin K. This essential vitamin is important in inducing proper blood coagulation. Likewise, vitamin K helps promote bone strength and integrity. In addition, romaine lettuce is an excellent source of potassium. A single serving may provide up to 10 percent of the recommended daily intake of potassium. This means that the superfood is notably effective in addressing muscle weakness. Aside from this, protein comprises up to 20 percent of the calories found in romaine lettuce. Moreover, the popular salad green is a well-known remedy for insomnia. Lactucarium, the white fluid that oozes from romaine lettuce leaves when cut or broken into pieces, contains relaxing and sleep-inducing properties akin to opium minus the unwanted side-effects. Furthermore, the high nutrient content in romaine lettuce helps maintain a healthy acid/alkaline balance in the body. This, in turn, results in added energy boost, clearer thinking, deep sleep and younger looking skin. Romaine lettuce is particularly beneficial to the digestive system. It is also helpful in maintaining a healthy cardiovascular profile. Likewise, the superfood supports the skeletal, muscular and nervous systems. Romaine lettuce is best known as a staple salad green, especially in Caesar salad. Aside from this, the vegetable’s large and sturdy leaves make for an ideal food wrapping or sandwich bread substitute. Likewise, romaine lettuce can be halved, brushed with olive oil and grilled. In addition, the salad green can be used as a topping for tacos and chili, or added to a variety of stir fried dishes. Online recipe generator AllRecipes.com has curated a vast number of interesting salad recipes across the web. Romaine lettuce promotes weight loss and addresses digestive issues. Romaine lettuce helps stave off heart disease and insomnia. Romaine lettuce benefits the digestive and cardiovascular systems. Romaine lettuce also supports the skeletal, muscular and nervous systems.